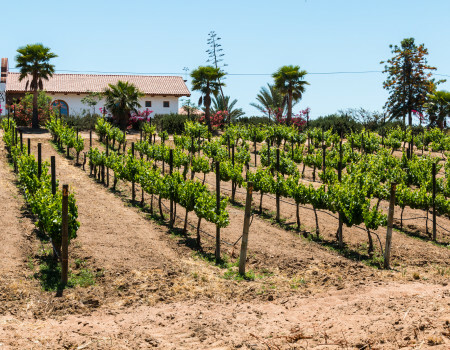 Although wine has been made in Mexico’s Valle de Guadalupe region since the late 1700s, it’s not until the past decade that the world has started paying attention. 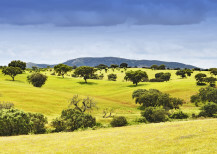 Now considered one of the hottest wine regions, it’s also one of the fastest growing. With more than 150 boutique wineries, Valle de Guadalupe is often referred to as Mexico’s Napa Valley. But the title is a misnomer for those who truly know and understand the region. Located on the arid Baja California peninsula just 90 minutes south of the U.S./Mexico border, the valley is comprised of dirt roads, small family-owned wineries, and open-air restaurants that lend a rustic charm and distinctly Mexican soul to this unique region. What makes this wine region especially alluring isn’t just the charming boutique wineries with award-winning wine—it’s the food that complements it. Chefs use fresh seafood from the Pacific Ocean, locally raised grass-fed meats, and just-picked produce to create beautiful and sumptuous dishes. 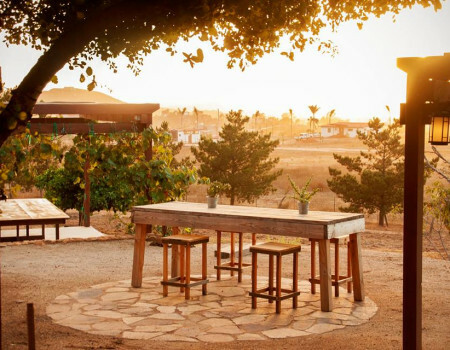 As much as travelers come to the Valle de Guadalupe to drink, they also come to eat. 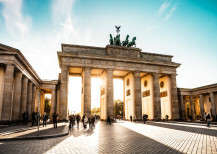 While summer has traditionally been considered peak season for the region, travelers who want to avoid the crowds and the oppressive heat should visit in the fall or spring when the weather is temperate and you’ll get plenty of personal attention everywhere you go. Making some of the most impressive wines in the region is Lechuza winery. The detail that goes into their winemaking is appreciated by many sophisticated wine drinkers including Chef Thomas Keller, who has their wines on his wine list at the French Laundry in Napa. Don’t miss their Nebbiolo, a varietal that’s a rising star in the region. To enjoy your wine with expansive views of the valley, head to Las Nubes winery. The large patio is perfect for tasting their approachable wines while relishing the cool breeze and impressive vineyard vistas. 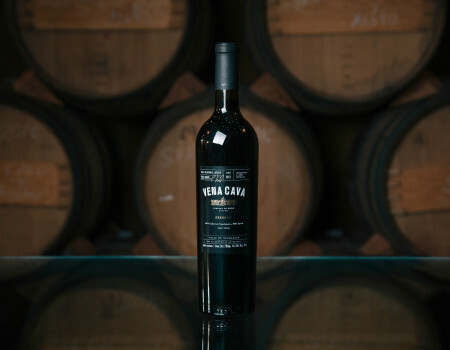 The architecture is just as interesting as the wines at Vena Cava where the tasting room and wine cave are dug out of the earth and feature upside-down vintage wooden fishing boats as the roof. The bold red blends and innovate natural wines make this winery an easy favorite. A true family winery, and a legend in the industry and region is Torres Alegre y Familia winery. Their complex and refined wines can be enjoyed in the new tasting room that boasts beautiful 360 views of the vineyards. Finca Altozano is the most popular restaurant in the region, and for good reason. The “campestre” restaurant is indicative of the region’s typical style of cuisine where diners eat outdoors and the food is all locally sourced and cooked over a wood-burning fire. Grab a glass of wine after your meal and climb to the top of one of the giant wine barrels on the property to enjoy sweeping views of the vegetable garden and surrounding vineyards. Locals and foodies start their day with breakfast at La Cocina de Doña Esthela. Set in the ever-expanding house of Doña Esthela, her home-style cooking is rich in traditional Mexican flavors and soul. The machaca con huevo is arguably the most famous dish of the region. For a truly memorable dining experience, head to Corazón de Tierra where diners delight in Chef Diego Hernandez’s daily tasting menu. Consistently finding a place on the list of Latin America’s 50 Best Restaurants, Corazón de Tierra’s innovative and meticulously crafted dishes are a true example of Baja California cuisine. You’ll feel like you’re on a Tuscan retreat with a stay at La Villa del Valle. 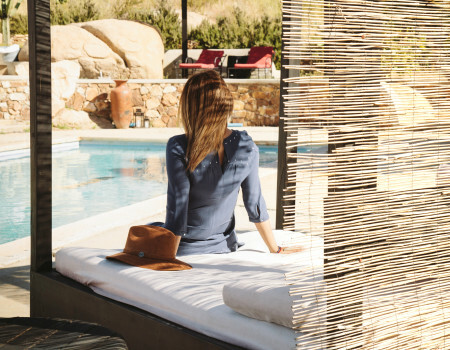 The intimate and well-curated boutique B&B offers guests a truly serene escape right in the heart of the Valle de Guadalupe. The modern and airy cabins at Casa Mayoral are a true mix of rustic luxury. Breakfast is included in your stay, and guests can enjoy hiking and biking around the 25-acre property. For a chic and tranquil escape, travelers enjoy staying at Bruma. The unique boutique hotel is built around huge natural granite boulders, incorporating them into the architecture. The on-site restaurant, Fauna, is one of the new top places to eat in the valley.